WASHINGTON — Former Director of National Intelligence James Clapper on Sunday described a U.S. government "under assault" after President Donald Trump's controversial decision to fire FBI director James Comey, as lawmakers urged the president to select a new FBI director free of any political stigma. "I think, in many ways, our institutions are under assault, both externally — and that's the big news here, is the Russian interference in our election system," Clapper said. "I think as well our institutions are under assault internally." When he was asked, "Internally, from the president?" Clapper said, "Exactly." 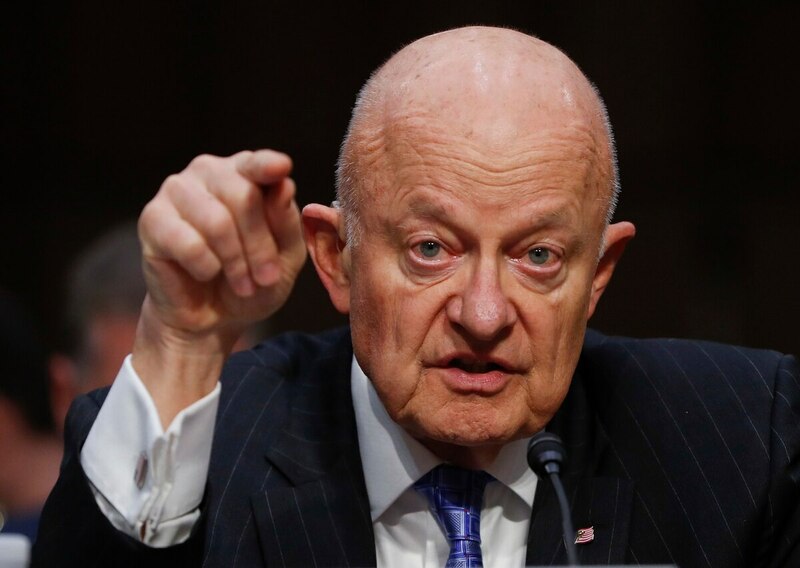 Clapper spoke following Trump's sudden firing of Comey last week, which drew sharp criticism because it came amid the FBI's probe into Russia meddling in the 2016 presidential election and possible ties between Russia and the Trump presidential campaign. Clapper said America's founding fathers had created three co-equal branches of government with checks and balances, but with Trump as president, that was now "under assault and is eroding." Lawmakers from both parties also criticized Trump's actions last week, which included changing explanations from the White House for the firing and an ominous tweet by Trump that warned Comey against leaks to the press because he may have "tapes" of their conversations. The lawmakers urged the president to select a new FBI director without any political background. "It's now time to pick somebody who comes from within the ranks, or is of such a reputation who has no political background at all who can go into the job from Day 1," the South Carolina Republican said. Asked whether Rogers or Cornyn would be good choices, Graham flatly said, "no." "The president has a chance to clean up the mess he mostly created," Graham said, adding, "I have no evidence the president colluded with the Russians at all, but we don't know all the evidence yet." Senate Minority Leader Chuck Schumer of New York said the new FBI director should certainly be someone "not of partisan background" with "great experience" and "courage." He left open the possibility that Democrats might try and withdraw support for a new FBI director unless the Justice Department names a special prosecutor. Under rules of the Senate, Republicans could still confirm an FBI director with 51 votes. Republicans hold 52 seats in the chamber to Democrats' 48. 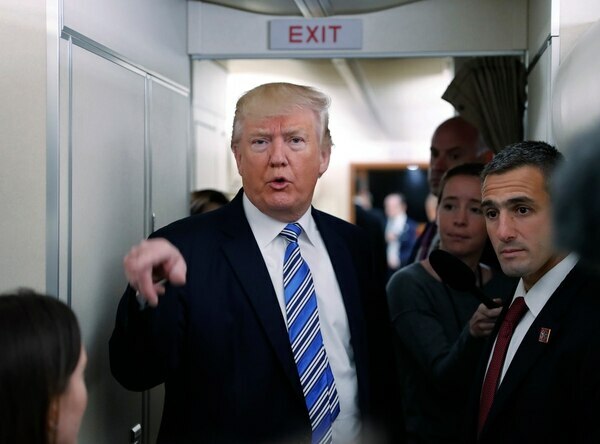 President Donald Trump speaks to members of the media aboard Air Force One before his departure from Andrews Air Force Base, Md., Saturday, May 13, 2017. —Adam Lee, special agent in charge of the FBI's office in Richmond, Virginia. —Andrew McCabe, the acting FBI director. —Michael J. Garcia, a former prosecutor and associate judge on New York's highest court. —U.S. District Judge Henry E. Hudson, a Bush appointee who struck down the centerpiece of the Obama administration's health care law in 2010.